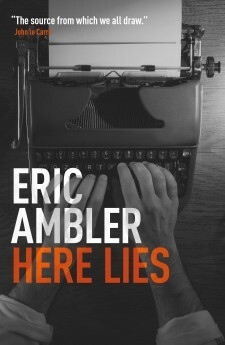 Eric Ambler’s autobiography Here Lies is a rare glimpse inside the mind of one of our greatest thriller writers. 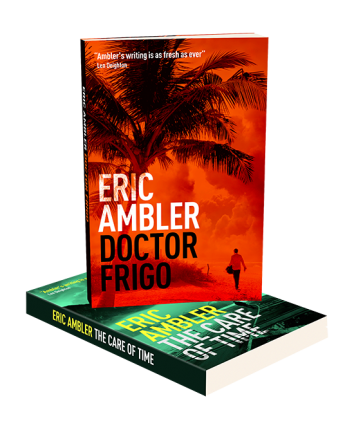 Here the famously recalcitrant Ambler recounts the experiences that shaped his life and work with the same extraordinary skill and thrilling pace that made his novels worldwide bestsellers. His South London childhood; his brief engineering career, which he gave up to work in theater; his time as an advertising copywriter; the publication of his revolutionary spy novels in the 1930s and ’40s, his service in the film division of the British War Office during World War II, which allowed him to write his first screenplays; and his postwar renown as the leading writer in the genre on both sides of the Atlantic. In these pages this masterful spy novelist has composed a compelling and insightful examination of his life.